1Select a photo in your photo folder. Click any thumbnail or image from the list. 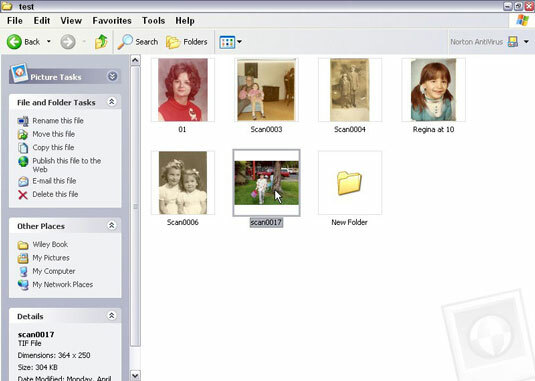 2Select the Rename This File task from the File and Folder Tasks pane. 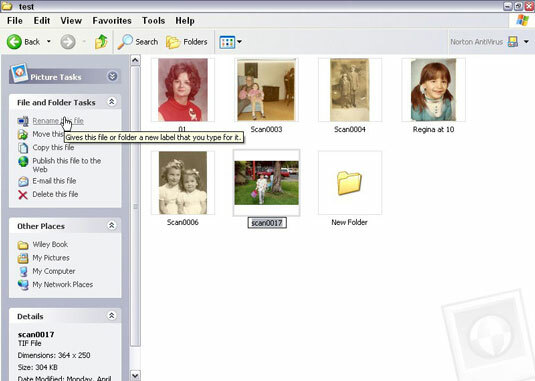 As you can see in this figure, the filename under the image icon turns into a text box. 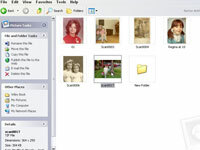 3Type the new name for the file in the text box. 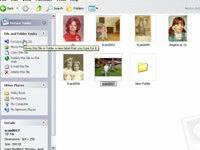 If you make a mistake while typing the photo file’s new name, you can press the Esc key to return to the original name, but only while the text box is active. 4Click outside the text box (or press the Enter key) to lock in your change. Just that simple, your photo has a new name.